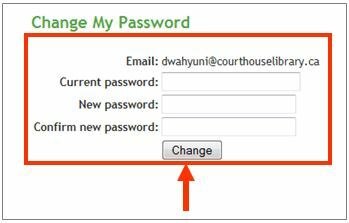 If you are a contributor to Clicklaw Wikibooks, you can change your password from the Password Reset page. Click “Change my password” on the menu bar from anywhere within the contributor interface. Enter your current password and your new one, and then click the Change button.